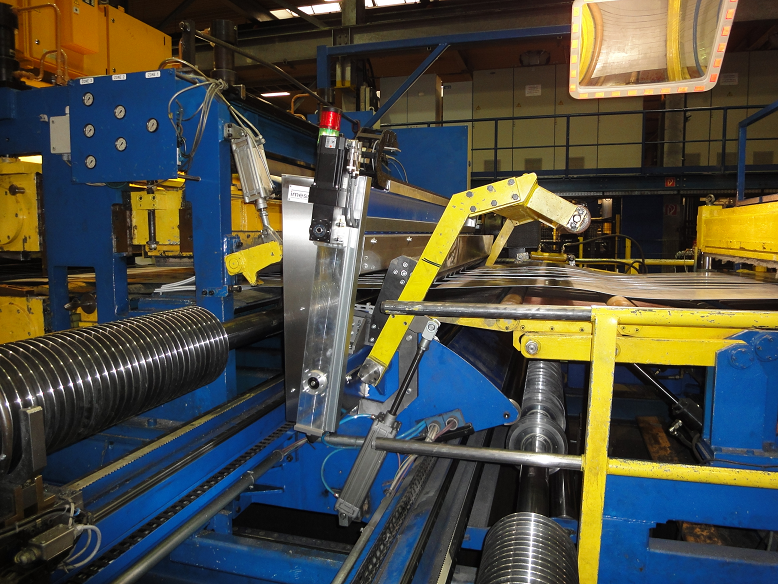 The unwound coil is cut into strips in steel service centers to process them further. The systems of the product range SW check the width of these strips. The abbreviation in this case SW stands for strip width. The imess strip width measurement is highly accurate and a capable measurement accuracy system. Thus, the accuracy is at least factor ten higher than the product tolerance. A DakkS certified calibration item provides the respective reference. The system accuracy itself is ±0,01 mm and the capability index Cg is higher than 1,67 for tolerances of ±0,1 mm. 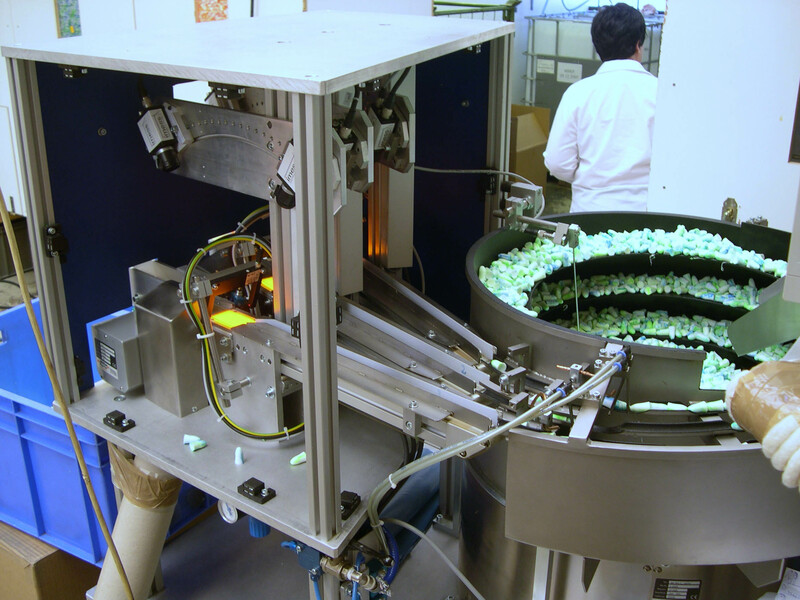 In addition, imess offers the system in different variants to serve the customer’s individual demands regarding size and process conditions. 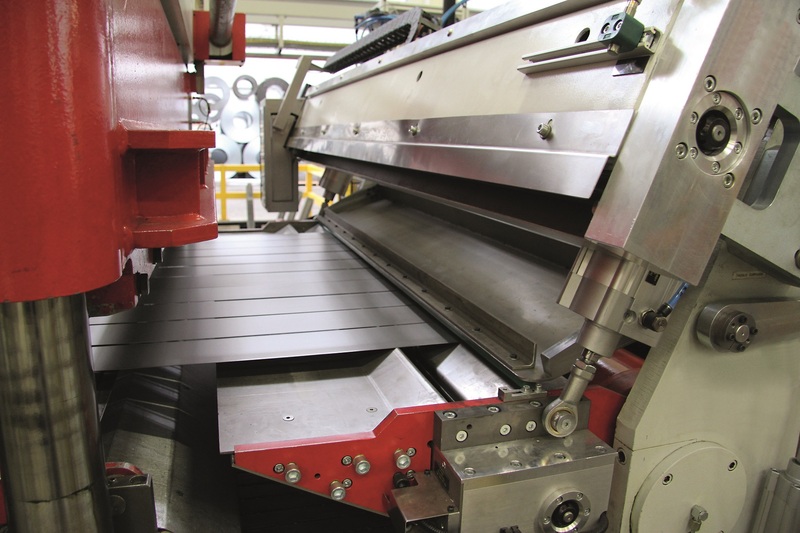 However, it is not a matter of strip quantity rather than the maximum measurement width in total. The compact system SW-C, for instance, is designed for a total measurement width of 600 mm. Camera and backlight are attached to a C-frame which moves along the strips at standstill of the belt. Subsequently, the strip width is determined with the recorded images. Furthermore, the software provides the typical imess functions such as elaborate statistics, graphic depiction of the results as well as password protected header data and parameter management. Various interfaces allow import and export of the required data. Take a look and get deeper insights!